Is there something that NASA is hiding from the people? NASA has been accused of "lying" by the online communities after the US space agency "cut" the live space feed streamed through the International Space Station (ISS) cameras. What's more intriguing is that just moments before the live feed was cut, a mysterious bright blue orb showed up on the screen. 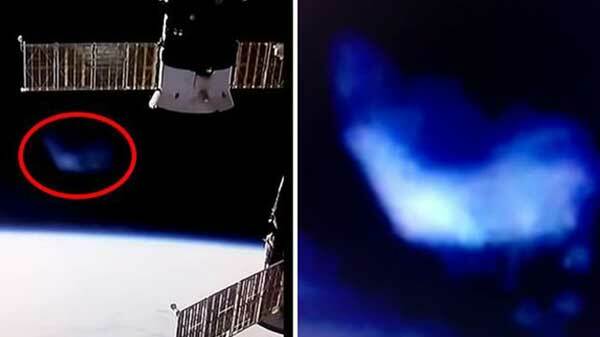 A video on YouTube shows one of the cameras on the side of the ISS record a huge bright blue UFO emerging behind the solar panels of the ISS. Footage of the UFO was captured: "UFO? NASA Live shuts down right after this object appears next to the ISS." The video follows the UFO for some time and also zooms in on the orb that is seen hovering above Earth. The live space feed then cuts instantly, asking viewers to "Please stand by." The cut off is followed by a message that reads: "The High Definition Earth Viewing experiment is either switching cameras, or we are experiencing a temporary loss of signal with the International Space Station." Viewers are speculating that the blue UFO could be an alien spaceship. One user even wrote that "NASA is lying" and hiding something from the viewers. Another viewer wrote, "That was a weird looking blob next to the space station?" Another viewer explained: "If the European Space Agency can manage to film beautiful, ultra-high-def footage of things outside the space station, why can't NASA?" Viewers are sensing a conspiracy claiming that the footage is a proof that NASA is indeed "hiding" something that could be otherworldly from the people on Earth. Some of the viewers are skeptic about the object being an extraterrestrial and explains that object could be a "space ice ball". Few viewers claimed the object looked like "a drop of water in zero gravity".